Note from the World Mercury Project Team: This article concludes our seven-part serialization of Vera Sharav’s exposé on the complex and widespread corruption that exists in the vaccination program, the deceptive practices by officials of “authoritative” international public health institutions and further evidence of the callous disregard for the plight of thousands of children and young adults who suffer irreversible harm. As one reads all seven parts, it becomes abundantly clear that the revolving door between regulators (charged with protecting the health of citizens) and pharmaceutical companies should close. Links to previously published parts one through six are at the bottom of this segment. The CDC vaccination schedule is particularly aggressive compared to all other national policies. The CDC 2017 schedule requires U.S. children – from birth to age 6 – to receive 50 doses of 14 vaccines. Infants in the US are exposed from birth to age 2, to 24 vaccine doses, combining 8-in-1 vaccines to be given to infants 2, 4, and 6 months in a single visit. Babies receive 36 vaccine doses before they are 18 months old. The schedule includes vaccines against diseases that rarely occur in developed nations. The truth is that CDC’s childhood vaccination schedule was configured to promote industry’s financial interest in maximizing vaccination utilization. However, CDC recommendations violate medicine’s foremost precautionary principle “First, do no harm.” The evidence of infants being harmed following administration of multiple vaccines has been uncovered in CDC documents. However, public health, and medical “authorities” who pretend that no evidence of harm due to vaccines exists; they continue to deceive the public with reassuring propaganda. 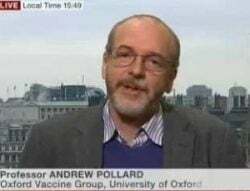 The media continues to disseminate “fake news” about the life-saving attributes and safety of all vaccines; promotional campaigns push the flu vaccine, the HPV vaccine, and the ever inflated CDC childhood vaccination schedule. WMP NOTE: This concludes of our seven-part series of Vera Sharav’s exposé. Previously published articles: Sharav’s Introduction to the full article, L’affaire Wakefield: Shades of Dreyfus & BMJ’s Descent into Tabloid Science, outlines her well-researched and documented belief that, “Public health officials and the medical profession have abrogated their professional, public, and human responsibility, by failing to honestly examine the iatrogenic harm caused by expansive, indiscriminate, and increasingly aggressive vaccination policies.” Part One focuses on how the Centers for Disease Control and Prevention (CDC) and the vaccine industry control vaccine safety assessments, control the science of vaccines and control the scientific and mass channels of information about vaccines. In Part Two Ms. Sharav interprets the complex web of internal CDC documents, revealing how key CDC studies and CDC-commissioned studies were shaped by use of illegitimate methods. Part Three takes a closer look at the Brighton Collaboration and the extraordinary influence these stakeholders have in the business of vaccines and their power to control the science and research and manipulate reports to further their own interests.Focusing on the HPV vaccine, in Part Four Ms. Sharav explores how a global network of government/academic and industry stakeholders can suppress information about genuine scientific findings and, when needed, engage in corrupt practices to thwart the airing of information about vaccine safety issues. CDC’s childhood vaccination policy rests on the denial of safety hazards posed by vaccines and CDC officials are intent on shielding the policy and vaccination schedule at any cost. Part Five examines documentation and internal correspondence that reveals how CDC used its influence and subsequently rejected scientific studies that contradicted the sacrosanct vaccine safety mantra. From major methodological flaws and inconsistencies, to outright fraud, in Part Six of this 7-part series, Vera Sharav reveals much about corrupted vaccine literature including journal editors who knowingly facilitated fraudulent research articles to influence vaccination policies that put thousands of children at risk, and depriving them of living normal lives. Big countries, with powerful military machines should not be permitted to invade, occupy and brutalize their peaceful neighbors. — US Secretary of State James Baker speaking about Iraq’s invasion of Kuwait.